Sweet and tangy, a lovely combination. 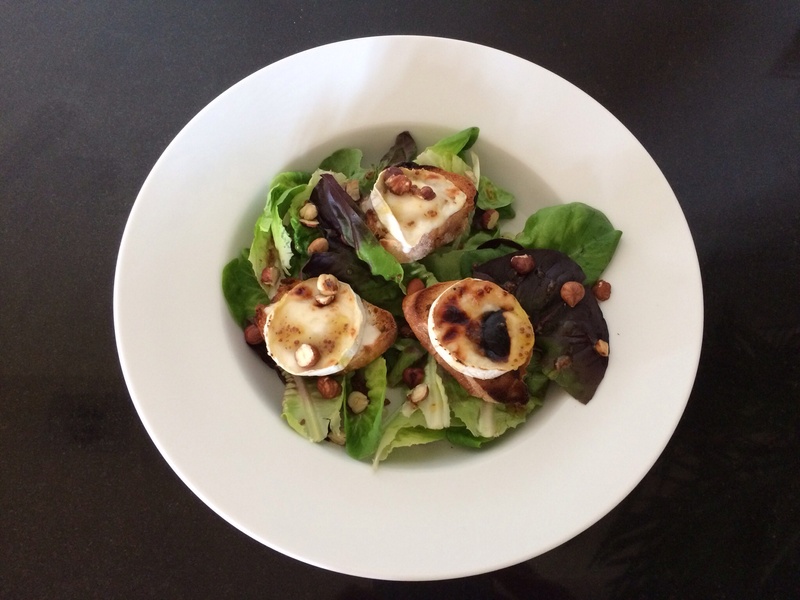 Grilled goats cheese drizzled with honey on crunchy toasted ciabatta and a simple salad with hazelnuts. 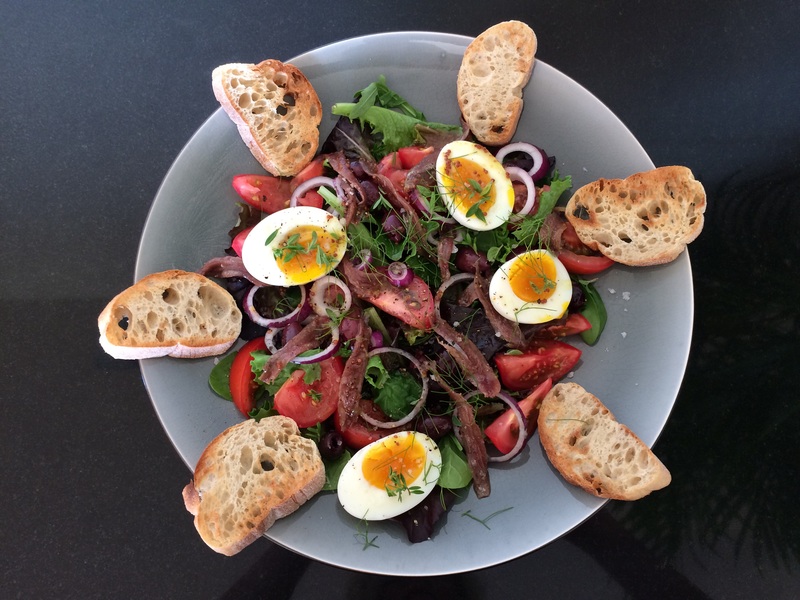 Just enjoying a few days in sunny South of France and put together a little Nice inspired salad. 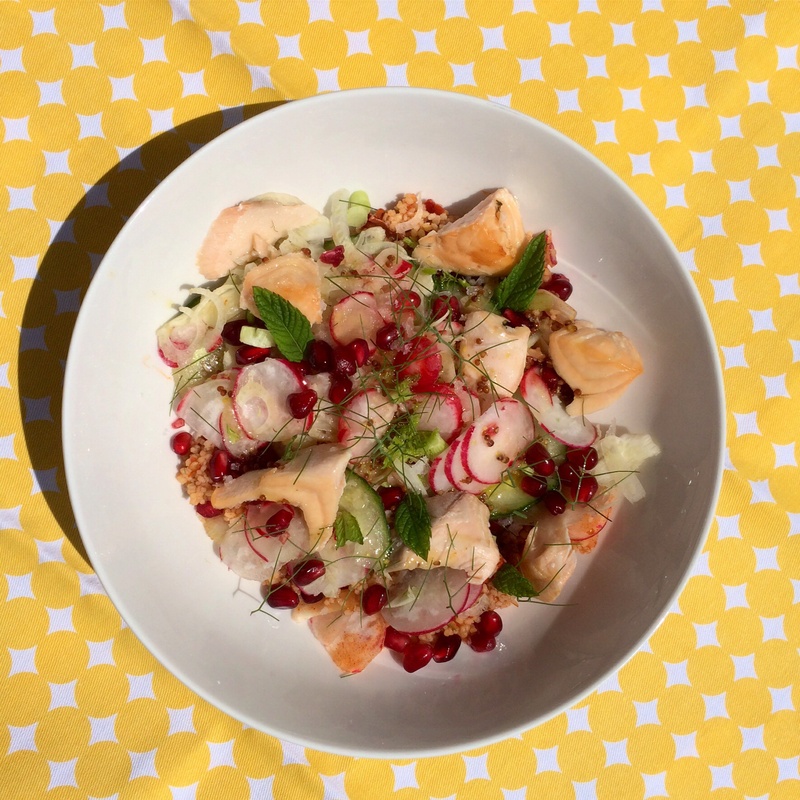 Salmon and couscous picnic bowl! Sunny weather picnic food, easy to put together and easy to transport in individual bowls, so a nice easy picnic food without all the Tupperware! 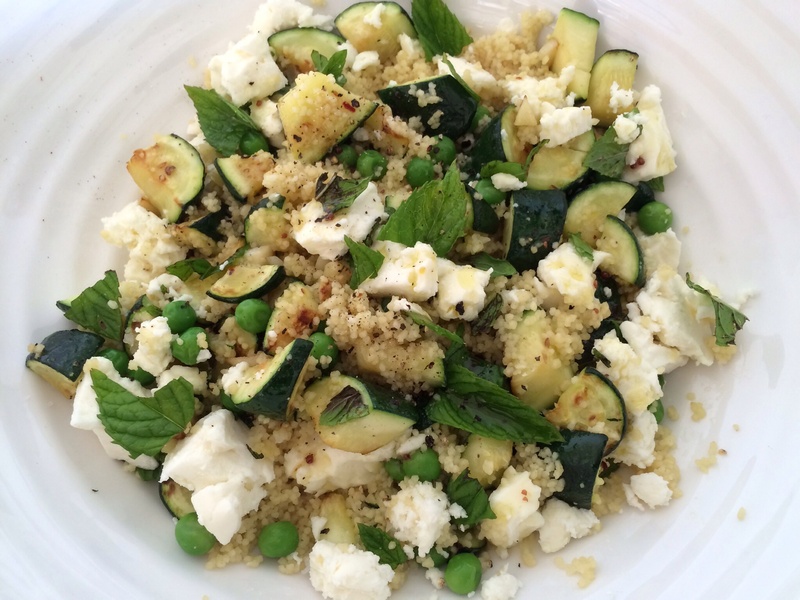 Courgette, pea and mint couscous salad. Delicious and quick (my favourite!) The mint leaves a rather nice fresh taste on the palate after you’ve finished eating. Use about 5g fresh mint. 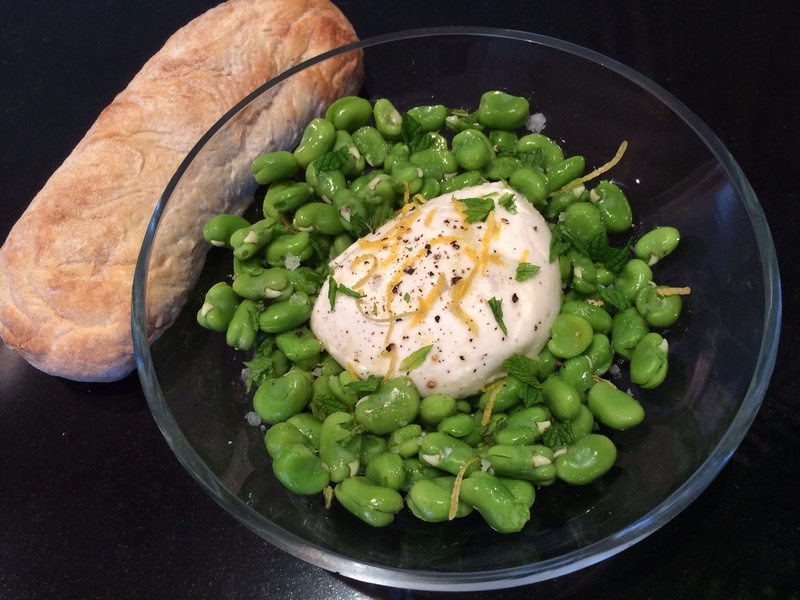 Broadbean, mint and mozzarella salad. 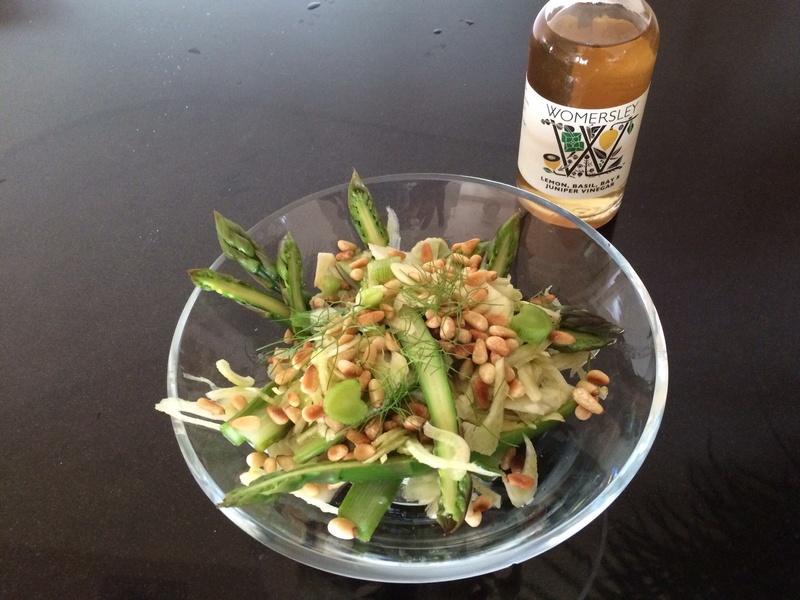 Fennel, asparagus and pinenut salad. Super delicious, finely sliced fennel, quickly blanched English asparagus, with toasted pinenuts. 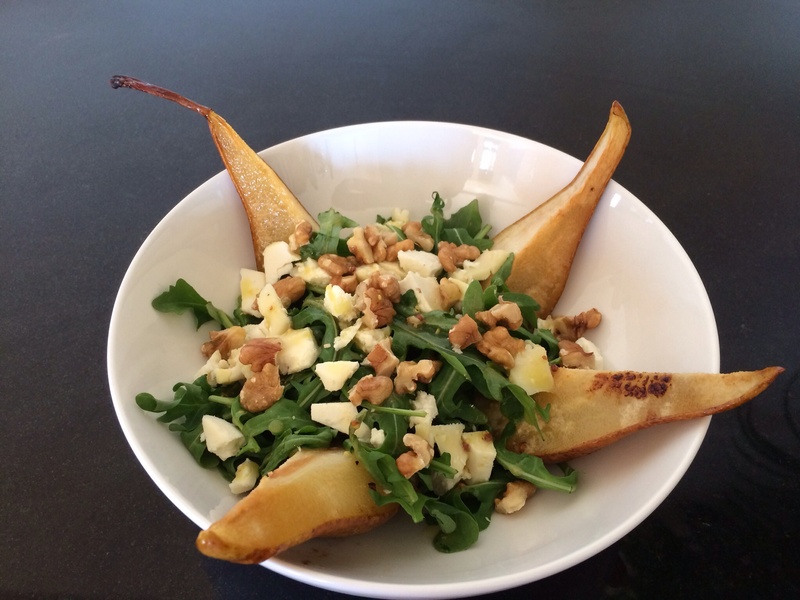 Caramalised pear and goats cheese salad with walnuts.